Cecilio, Ina, and Daisy Granale won the Residential Award (pictured on the left) and we couldn’t be more proud. 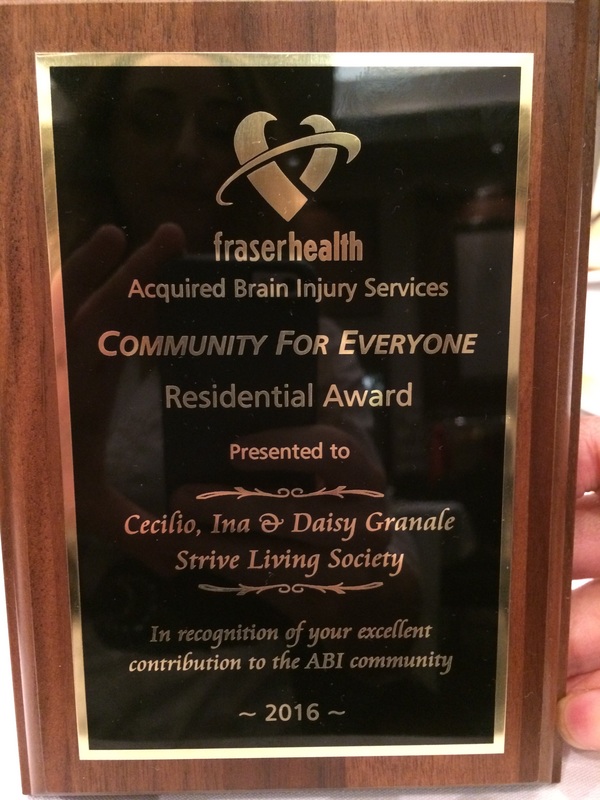 They received the award for the best residential home in all of the Fraser Health Authority, Acquired Brain Injury Services. 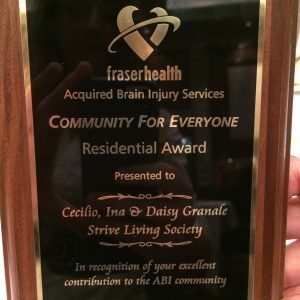 Residential includes: a facility, group home, apartment program or community support home that has demonstrated excellence in supporting an individual with an acquired brain injury to be more independent. This also indicates that they have provided quality care that has maximized the potential of the client or successfully transitioned a client to a lower level of care. The magnitude of this award is incredible! Congratulations Cecilio, Ina, Daisy, and Nicole! Thank you for everything you do for our Assisted Independent Living program here at Strive and those we serve. This recognition means a lot to us.